WaterSMART Progress Report 2010 - 2016LAS VEGAS – U.S. Secretary of the Interior Sally Jewell and Deputy Secretary of the Interior Michael L. Connor today celebrated milestones for two collaborative efforts the Interior Department has spearheaded to help secure sustainable water supplies for future generations. They made the announcements at the Colorado River Water Users Association meeting in Las Vegas. First, Secretary Jewell finalized the framework to adaptively manage the Glen Canyon Dam over the next 20 years, with the goal of creating certainty and predictability for water and power users while protecting environmental and cultural resources in Grand Canyon National Park and the Colorado River ecosystem. Second, the Interior Department released a report showing that projects initiated from 2010-2016 under the Department of the Interior's WaterSMART program are expected to result in savings of 1.14 million acre-feet of water per year upon completion, the annual household usage of 4.6 million people. To develop the Long-term Experimental and Management Plan (LTEMP) for Glen Canyon, the Interior Department conducted a comprehensive Environmental Impact Statement involving the Bureau of Reclamation and the National Park Service, along with 15 cooperating agencies, the Navajo Nation and all seven Colorado River Basin States. The Department carefully weighed economic, technical, social and environmental considerations among seven possible alternatives evaluated by the Final Environmental Impact Statement. The final plan also includes a number of important improvements to enable successful dam operations in compliance with the Grand Canyon Protection Act and other federal statutes and regulations. The plan provides more even monthly volume releases and continues protocols for the High Flow Experiments. As was seen last month, these experimental releases are designed to restore sand features and associated backwater habitats to provide key fish and wildlife habitat, potentially reduce erosion of archaeological sites, restore and enhance riparian vegetation, increase beaches and enhance wilderness values along the Colorado River in Glen Canyon National Recreation Area and Grand Canyon National Park. The LTEMP will not affect the amount of water available annually for communities and agriculture based on the annual water flow between Lake Powell and Lake Mead. Colorado River Basin water allocations are unchanged by the LTEMP Record of Decision. Those allocations and annual deliveries will continue consistent with the Colorado River Compact and other existing statutes, treaties, regulations and agreements governing Colorado River water allocation, appropriation, development and exportation. The Colorado River Basin is just one area where the Department is working with its partners to address water conservation and other water-saving strategies. Today’s WaterSMART report and data visualization tool details progress made since 2010 to improve water conservation and help water-resource managers narrow the gap between water supply and demand. 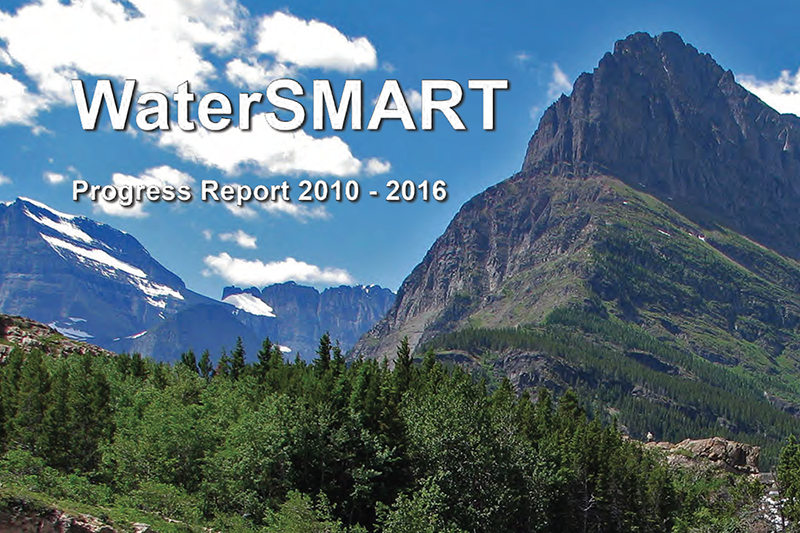 The WaterSMART Progress Report illustrates in detail how WaterSMART provides a framework through which water managers can develop and adopt innovative solutions that provide a more reliable water supply in a changing climate. As part of WaterSMART, Reclamation provides funding for projects and studies that increase water and energy efficiency, plan for and mitigate drought, develop scientific information and tools to plan for future water needs, and facilitate the creation and advancement of watershed groups. You can find a fact sheet with accomplishments under the WaterSMART program here.